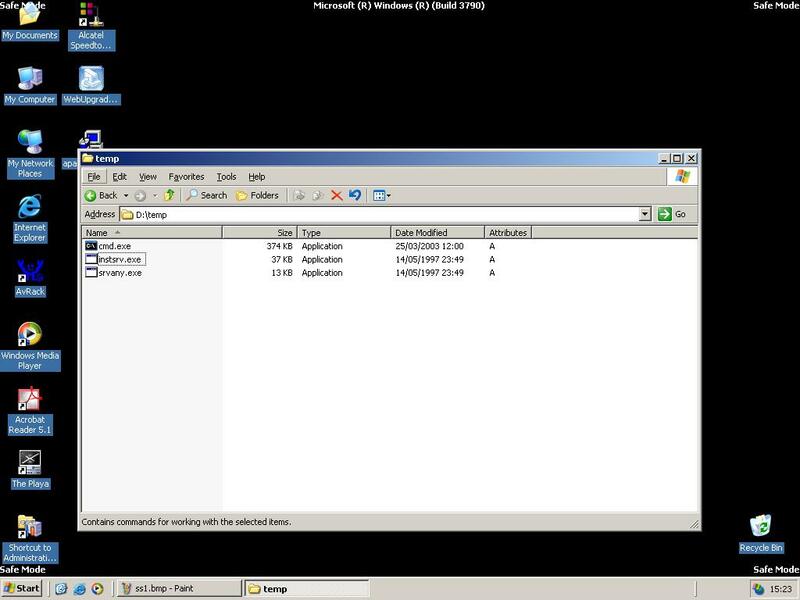 I have recently installed a Windows 2003 Server at home and I set up a local domain using Active Directory features. Everything worked fine until I changed the Domain Admin password. It seems that I mistyped the new password twice (which I would attribute to the previous heavy night out), and, well, I could not log on the Domain Controller anymore (I did not have a backup admin account, I do now!). 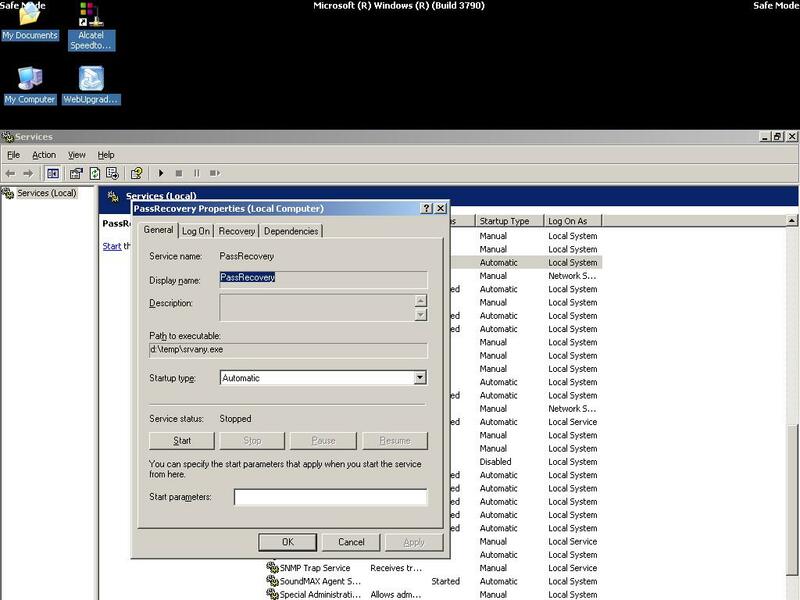 A few tricks about resetting the Domain Admin Password on Windows 2000 Server have been published, but after Microsoft strengthened some security aspects on Windows 2003 Server, those hacks do not work anymore. After struggling a few days, I finally managed to reset the domain account and I am going to present the trick to you in this paper. This trick has a few important requirements, be sure you meet them before yelling at me. This paper does NOT intend to serve any malicious sort of hackers, but just lousy administrators (like me). N.B. 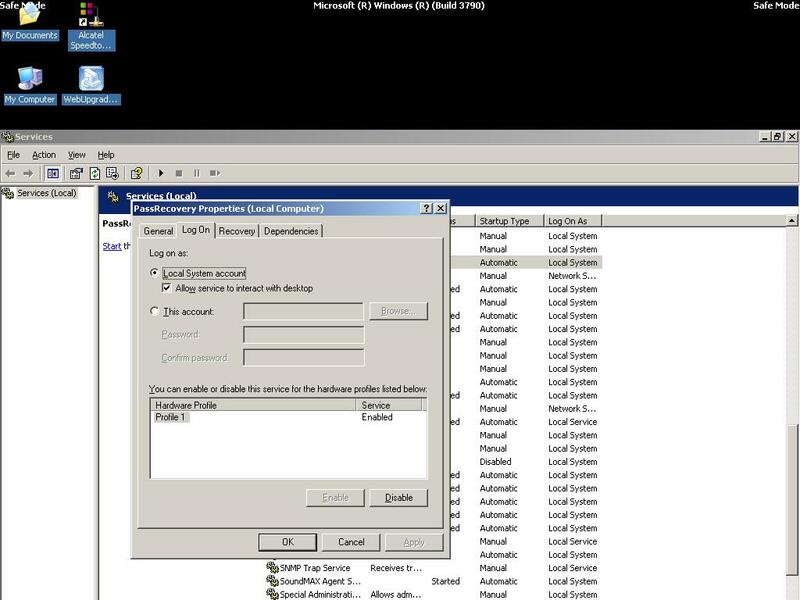 : This is known to work on Windows Server 2003 Standard Edition, without any service pack installed. Let me know if you have tried it on another configuration. Thanks! 1/ Local access to the Domain Controller (DC). 2/ The Local Administrator password. 3/ Two tools provided by Microsoft in their Resource Kit: SRVANY and INSTSRV. Download them from here. The Local Administrator account is also called Directory Restore Administrator or Machine Account. The password is set at Windows installation. It is possible to reset this password using some (free) recovery tools. The trick has been tested on a domain with a single DC. If your domain has multiple DCs, it should not matter which one you decide to use. 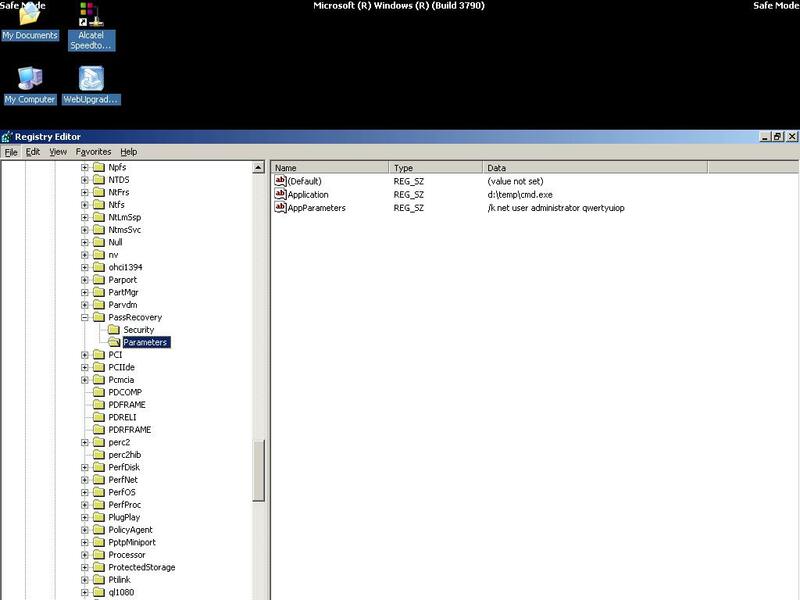 Restart Windows 2003 in Directory Restory Service Mode. Note: At startup, press F8 and choose Directory Restore Service Mode. It disables Active Directory. You are now going to install SRVANY. This utility can virtually run any programs as an NT Service. The interesting point is that the program will have SYSTEM privileges (as it inheritates SRVANY security descriptor), i.e. it will have full access on the system. That is more than enough to reset a Domain Admin password. You will configure SRVANY to start the command prompt (which will run the 'net user' command). Start a command prompt, point to d:\temp (or whatever you call it), and type: instsrv PassRecovery "d:\temp\srvany.exe"
Start regedit, and open the key HKEY_LOCAL_MACHINE\System\CurrentControlSet\Services\PassRecovery. Show the Log On tab and enable the option Allow service to interact with desktop. From now on, anytime you restart Windows, SRVANY will run the netuser command and reset the domain admin password. Restart Windows in normal mode and wait for the login screen. You will not see the command prompt running the net user command as it is displayed on another desktop. But no worries, the command is still executed in the background. Log on as Administrator on your domain by using the password you set above. The system should grant you access. If not, go back to Step 2 and check you did not mistype any commands or values. When the desktop is displayed, you should see a command prompt. This is the one started by SRVANY. Feel free to give me your comments and feedback. Send an email to seb@nobodix.org I will try to answer as quickly as possible. Written by Sebastien Francois, February 2004. Theme by Ben & F�lix adapted from Zoe's.